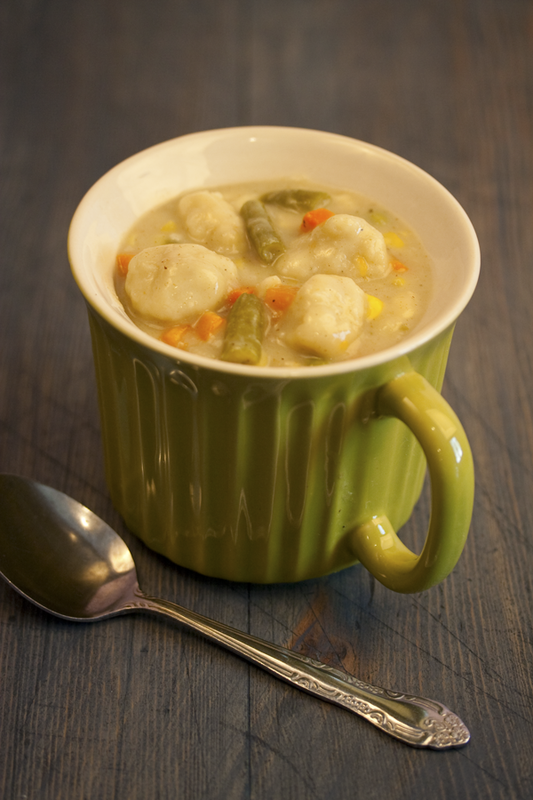 A vegan spin on the southern classic chicken and dumplings. Easy drop dumplings and mixed vegetables. Low fat, easy to make and delicious. Want to know what others thought about this recipe? Would you like to comment on this recipe? Go to the Drop Dumplings With Mixed Vegetables blog entry. In a large pot place mixed vegetables, water, onion, soy sauce, garlic powder, poultry seasoning, coriander, marjoram, sugar, salt, cumin and pepper on medium heat (don't add the rice milk and yeast flakes yet) and cook 8 to 10 minutes. While vegetables are cooking mix together the dumpling ingredients in a medium sized mixing bowl. First mix together the dry ingredients, flour, baking powder, salt, lemon pepper, yeast flakes. Mix together the wet, rice milk, oil and vinegar, in a separate small mixing bowl, then pour in with the dry ingredients and mix together. Spoon into a zip lock bag and seal shut and cut an inch from one corner. Set that aside. In a food processor put the rice milk and nutritional yeast and process for one minute. Add this to the pot of vegetables and stir together. Next, take the bag with the dumpling dough and squeeze out about a 1 inch sized dumpling and snip the dough with kitchen scissors or a knife. Repeat this until all the dough is in the pot. 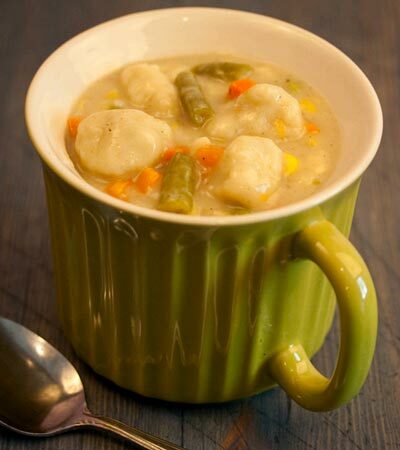 Stir the dumplings carefully and cook for 12 to 15 minutes. Carefully stir them around 2 or 3 times while they cook.